Born and raised on the largest Aran island, the music of bilingual artist Padraig Jack is influenced by his surroundings as much as it is by James Taylor, Van Morrison, Paul Brady and The Eagles. 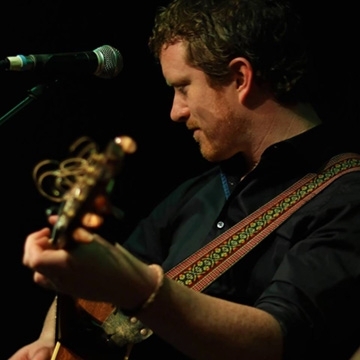 While he has had plenty airplay on RTE Radio 1, iRadio, Raidió na Life and is practically part of the playlist on RTE Raidio na Gaeltachta, Padraig’s live shows are developing his reputation as a singer and songwriter of substance in both English and Irish. Padraig Jack has opened for The Saw Doctors, Donal Lunny, Mick Flannery, The 4 of Us, John Spillane and has appeared at the Westport Bluegrass Festival, SOMA, Shorelines, Skibbereen Arts Festival and Electric Picnic. In October 2018 Padraig sold-out the Cobblestone venue in Dublin for his first headline show in the capital.